The El Vernona Hotel, designed by Dwight James Baum, who also designed Ca d’Zan, opened in 1924. In 1930, John Ringling bought the hotel and renamed it John Ringling Towers. This grand building presided over the bay front first as a hotel, then in the 1960’s it was converted to apartments, until it was abandoned by 1995. Despite vigorous efforts and fundraising, this historic landmark could not be saved. The building was demolished and the Ritz-Carlton, Sarasota hotel now stands in its place. Funds raised to restore John Ringling Towers were entrusted to the Arts and Cultural Alliance as a fund to support individual artists and historic preservation in Sarasota County. Each year grants are awarded in two categories: Historic Preservation and Individual Artists: visual arts, literary arts, and performing arts. 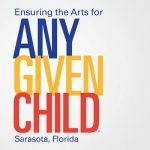 Individual Artist Award recognizes practicing, professional, artists residing in Sarasota County. The awards support artists of exceptional talent and demonstrated ability to continue to produce work. The number and value of awards (maximum award $3,000) varies according to the number of applications, panel recommendations, and available funds. In addition to the cash award, the highest scoring applicant in each discipline is also awarded a three-week residency at the Hermitage Artist Retreat during the next year. Historic Preservation Award is awarded to nonprofit organizations or governmental agencies located in Sarasota County, for the purpose of historic rehabilitation, capital (bricks and mortar), preventive maintenance projects, or national register designations. The program provides grants of up to $3,000 in recognition of historic preservation projects. The number of awards will vary according to the number of applications reviewed, the recommendations of the panel and the funds available.